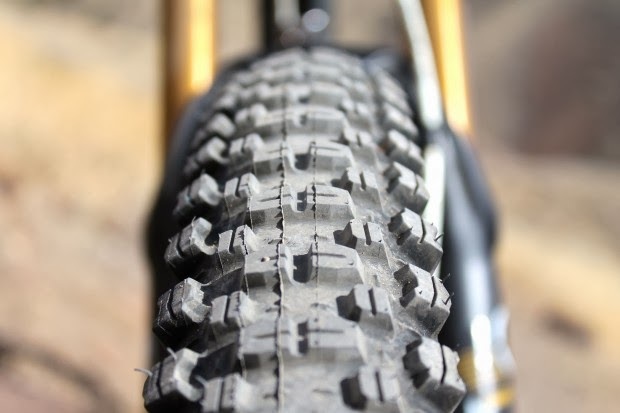 The Breakout is a large volume all mountain tire that’s designed for both speed and dangerous traction, making for a deadly combination. The tread pattern features square and oval-shaped knobs with consistent spacing and pitch. This tire looks like it should roll fast, despite its 2.5″ width.